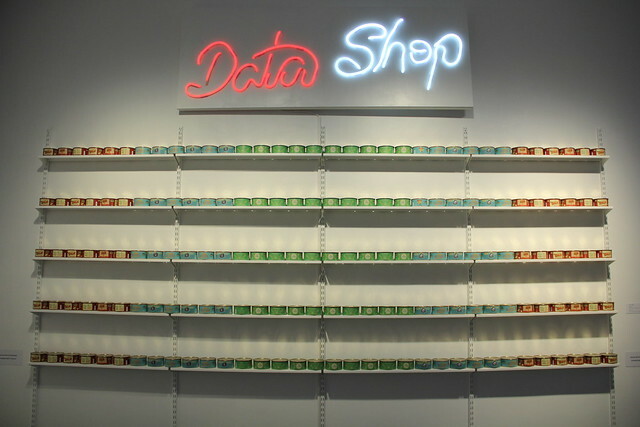 Data Shop is a shop-like installation, which speculates with the idea having a shop that sells and at the same time stores personal data. 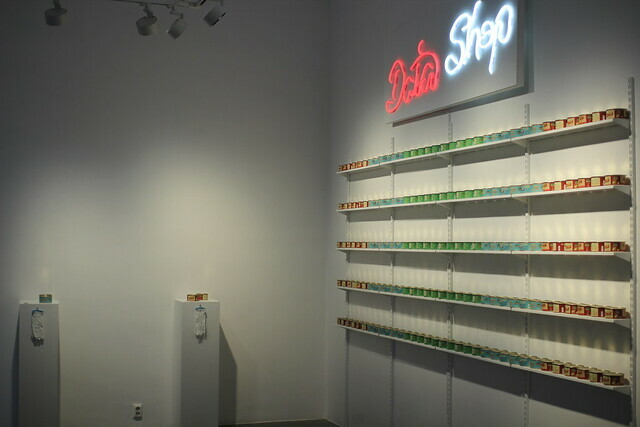 The artists have put on the pen drives their personal data extracted from Facebook, Google Takeout, Visa, and Mastercard. 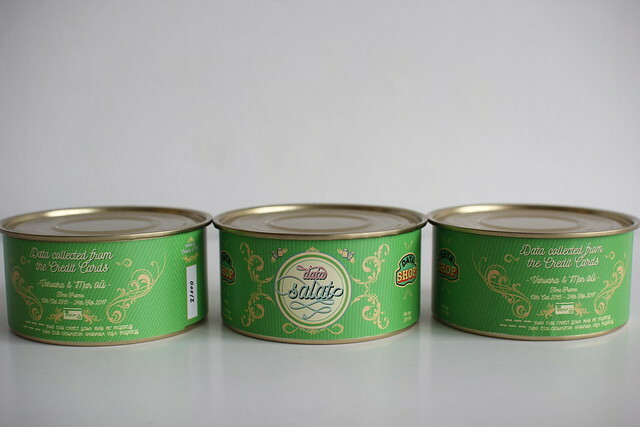 The pen drives were carefully canned and labeled accordingly as the real products. 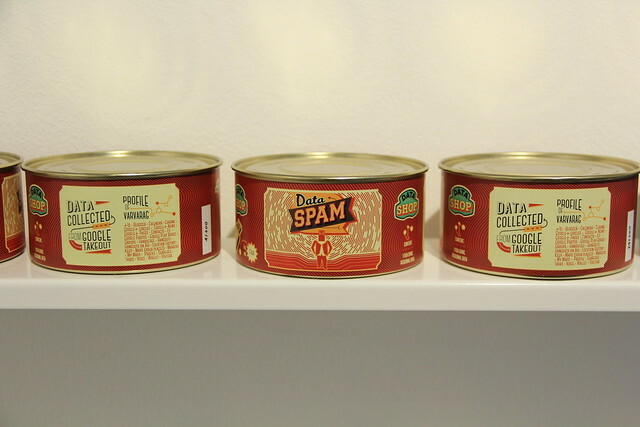 The aim is to bring up the topic of data market that is exponentially growing. 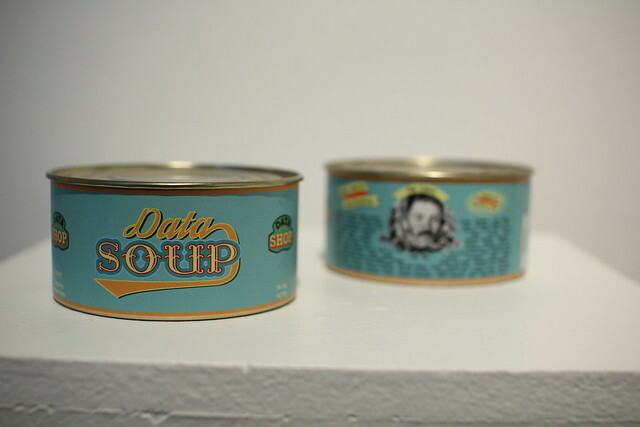 Our data is collected, used, sold, stolen and traded constantly. 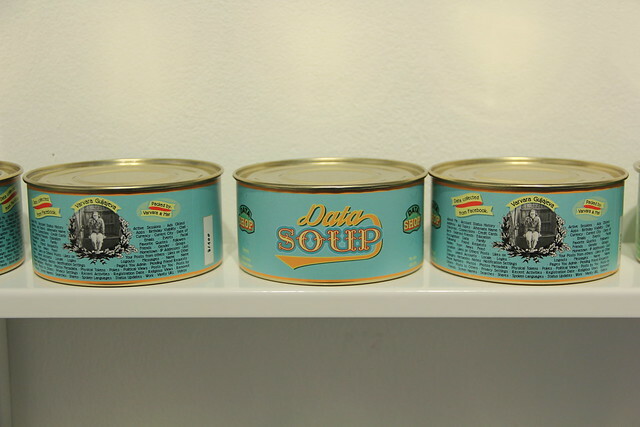 Data Shop confronts the audience with the questions on one hand about the value of personal data, and on another, the value of an artwork and the relation between them.